Gallery Grade 25mm OR 45mm wide tulip wood surround. Tulip wood is knot free and has an attractive even grain. We now supply them - made to order - and finished in house. The finishes avaiable are White painted, Black stained, Lime waxed and Natural beeswax. 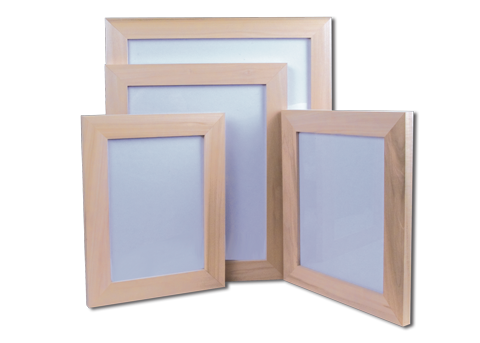 These frames are made to order and we can make alternative sizes to those listed here.